Happy April! Warm spring days are finally here and the Petting Farm is in full swing. As the days start to get even sunnier, you can count on fun activities returning to the farm such as hayrides and pony rides. You can buy an annual membership for your entire family (grandparents and nannies included) to ensure you have the best summer! Pass members get free admission, 18 free bags of animal feed and free hayrides. 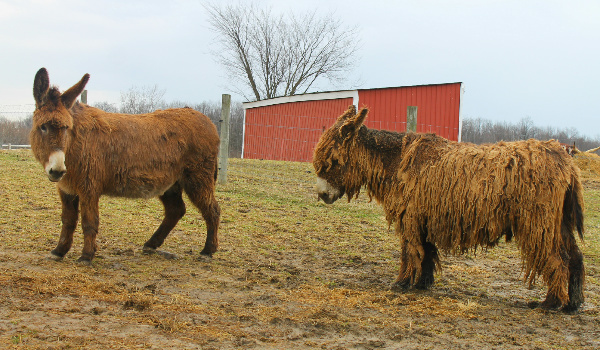 This month, there are exciting things happening at The Petting Farm. Check out what's in store for April below. 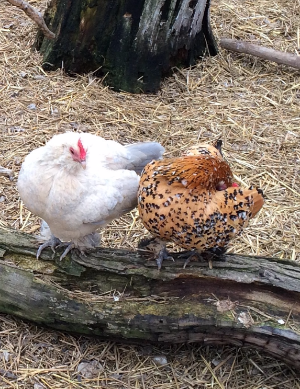 The Petting Farm is looking for seasonal workers and volunteers! 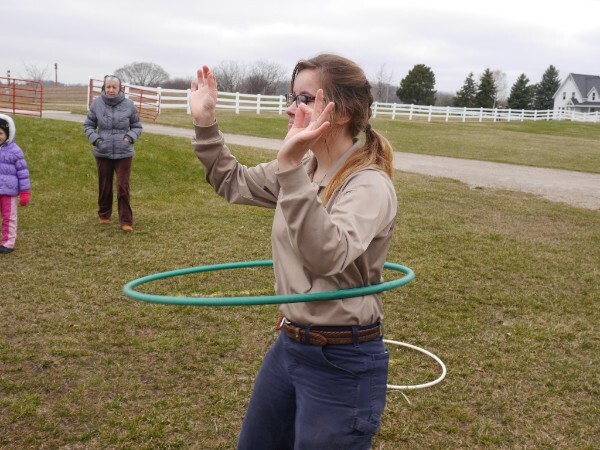 Helping out at the farm can include fun activities such as taking care of the animals, facilitating field trips, riding hayrides, helping with pony rides and interacting with visitors in the barn. If you’re interested in applying for a position, call (734)-998-0182 or email us at info@pettingfarm.com. 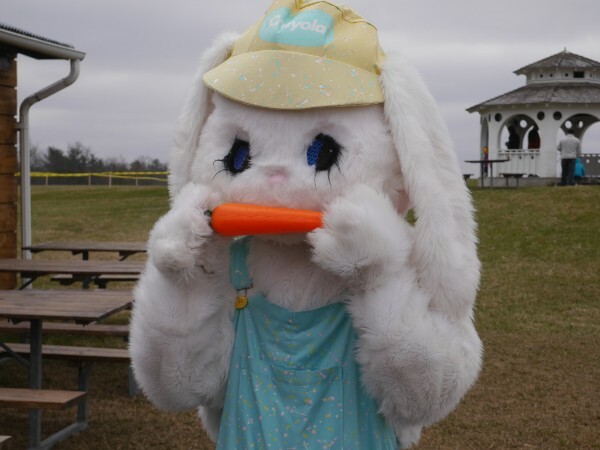 Thank you to everyone who came out for the Petting Farm's Annual Easter Egg Hunt! We had a great turn out this year and loved seeing all of our members gathered together for a fun time. 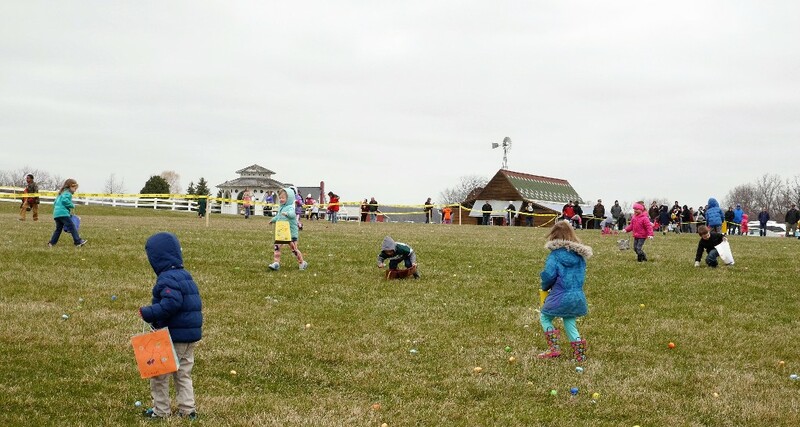 The Petting Farm staff put out over four thousand eggs in the field outside the pavilion and lined everyone up to get ready for the hunt. Everyone got candy and toys and a lucky few found special prizes in their Easter eggs. The Easter Bunny made an appearance at the Petting Farm to say hello. After the hunt, our animals were happy to see everyone and eat lots of carrots. We had so much fun and want to thank everyone who participated as well as everyone who volunteered to help. The Petting Farm also wants to thank Kroger, Target, Meijer and Busch's for their generous donations that made our Easter prizes possible! If you missed out this year, don't worry! You can buy your Barnyard Pass Membership at anytime and get a year full of fun, as well as exclusive access to the Annual Easter Egg Hunt for 2017. We would love to have you! We have exciting news! The Zeeb Barn is getting a new roof during the week of April 11th. This construction project is a large endeavor and for your safety The Petting Farm will be closed from Monday April 11th to Thursday April 14th. We will reopen on Friday April 15th. We're sorry for any inconvenience, but hope that you'll come visit as soon as construction is finished! If you went through the Pole Barn last summer, you likely saw our observational bee hive. The hive has open sections covered with glass so that kids and adults alike can watch the inner workings of these fascinating creatures. Our hive will be operational again for summer of 2016 and this April we're going to have a special demonstration on all things honey! 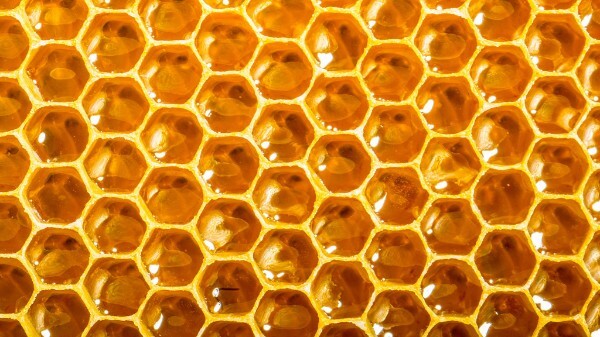 On Saturday, April 23rd at 11:30 AM, the Petting Farm will host a special demonstration while we extract the honey from our hives.If you have ever been curious about how honey is derived from the honeycombs, or what the inside of a hive looks like in general, you definitely don't want to miss out on this special event! Our resident beekeeper, Jane Levy, will be conducting the demonstration and will explain a bit about the inner workings of the hive. Be sure to check out our bees in the coming months! 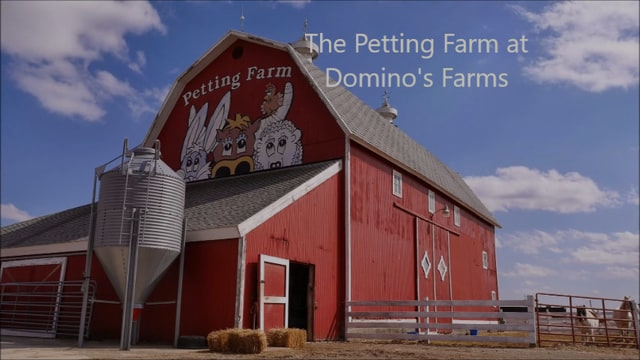 Copyright © *|2016|* The Petting Farm @ Domino's Farms, All rights reserved. You are receiving this e-mail because you previously expressed an interest in The Petting Farm.